Usually my images come from immediate experience, but contemplating ‘kiss’ and ‘taste’ for Ronovan’s Haiku Challenge, I imagined a beach scene—a pleasant place to go on a winter’s evening after an hour of clearing snow. 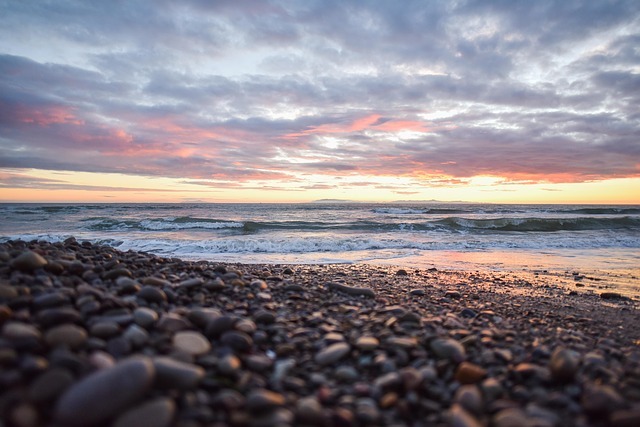 shimmering pebbles.” That photo is beautiful–timeless and endless. I like this one. Seems just right to me. Thanks Annika 🙂 The mind works in mysterious ways. Such power of imagery in the 3/5/3/ Janice and a great photo.